Thinking back to when I was a Young Farmer is a nostalgic business. It makes my liver and voice box hurt just thinking about it (between beer drinking, singing and (yuck) smoking – I used to lose my voice on a regular basis). I spoke to some real Young Farmers at an East Coast gathering at the weekend. Loved it. And they seemed to like the message too. Put nothing in, get nothing out. Put alot in – get alot out. For me – overseas travel, friends from all over the world, not to mention some impressive additions in my CV. Friend Fi and I visiting the boss lady (yeah Jenny!) 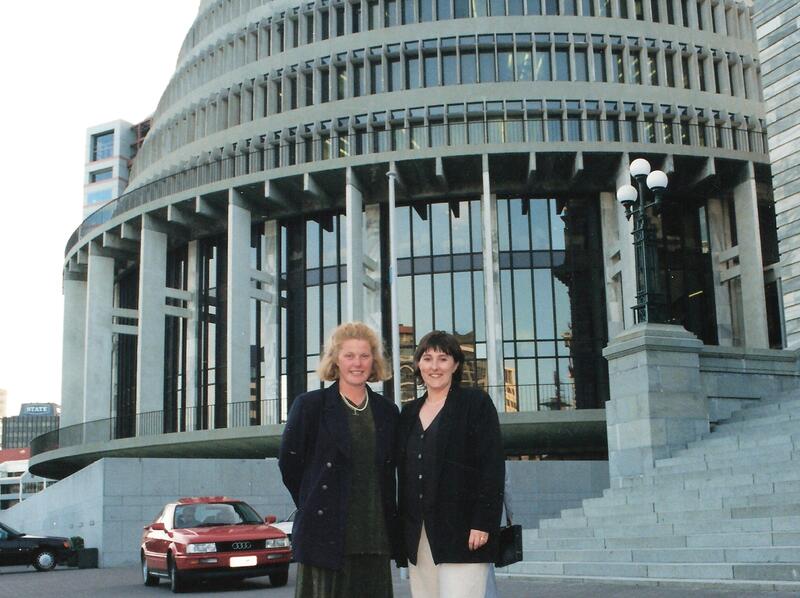 while on National Committee duties in Wellington. Winner of the National Debating Finals with Hugh Ritchie and Shane Tilson! 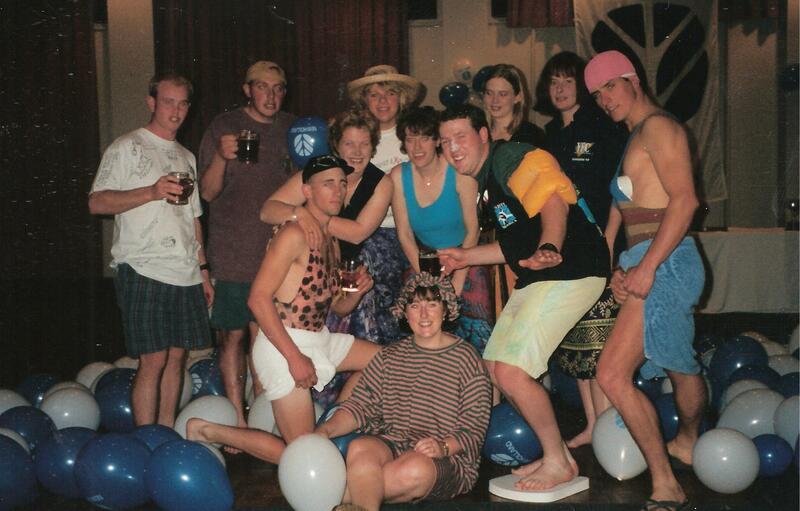 Picton 1995. While I was looking through the photos, I found this writing award entry. Well there are two. One before the Young Farmer Contest I entered in 2001 and one afterwards. Here’s the first and the second will come soon so you can see how I did! How often have you told someone to just “give it a go” or that it doesn’t matter how you do as long as you do your best? Be careful – it may come back to bite you. 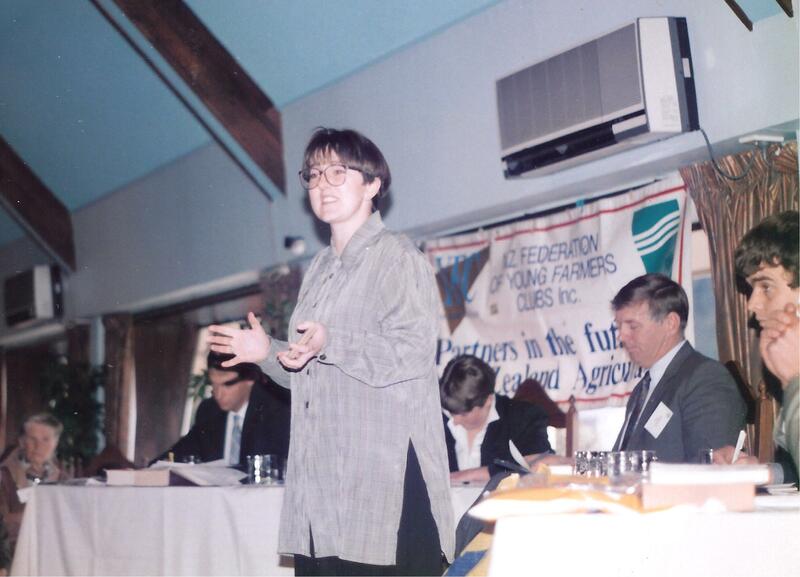 I’ve been a member of Young Farmers for over 13 years since I was at school. I have organised things, run things, been on committees and many times have volunteered my time and/or skills to help other people organise events and activities. I have entered photography, writing and stockjudging competitions and numerous other awards and competitions – making the most of everything that YFC has to offer. In all that time though, I have never entered YFC’s flagship competition – the Wrightson Agmardt Young Farmer Contest. I have helped coordinate district, regional and even national contests, but I have never actually pulled on that Swanndri shirt and got my boots dirty. I’m not sure why – I grew up on a farm and married a farmer – but journalism is a world removed from the day-to-day basics of farming. Now I’ve gone and done it. I entered the Hawke’s Bay competition in January and beat the boys at their own game. Now I have to compete in the regional final in Dannevirke on March 31. It’s great to be competing at regional level but I’ll be the first to admit I’m a bit nervous. The thing is, practicals look simple when other people do them but it’s a different story when it’s you out there erecting a fence, pruning a pine tree or shearing a sheep. This has been where the wonderful YFC network has come into play – I’m learning from the experts – a fencer, a dairy farmer, a sheep and beef farmer, a fertiliser rep and a farm forester – with visits to a few toolsheds thrown in. People don’t mind teaching a willing student something new – after all, someone probably gave up their time to teach them originally. You see, farming isn’t just checking the sheep and cattle or milking the cows. It’s about the science of growing grass, pasture and fodder, feed budgeting, fertiliser, cropping, machinery, fencing, tools, ploughing, trees for shade and shelter, trees for profit, animal health, drenches, shearing and wool. It’s about weather, planning, accounting, quality assurance, land management and sustainability – the list goes on. People entering the Young Farmer of the Year have no idea what they will strike on the day. There could be something right up a contestant’s alley, but then again… you never know. Organisers have such a wide range to choose from and even then the modules are kept secret until the moment the contestants step up to the block. Hopefully not the one you put your neck to. I have every intention of giving this contest the best shot I can – and to enjoy every minute of it. When it comes to the crunch, as the only female contestant on the East Coast for a number of years, I would rather look a bit inexperienced next to seasoned farmer blokes than always regret not giving it a go. And how much do we like to put in Wazza? One of my regrets was that I could have joined and didn’t. But I have enjoyed lots of YF contacts and reunions because I married a man who had the good sense to be a member. One of my regrets is that I never joined YF when I could have. But have had lots of fun with YF contacts and at reunions because I married a bloke who had the good sense to be a member. Whoops – not sure what’s happening with comments – it asked me to log. When I did nothing happened so I wrote the comment again, and to log in a second time and now have two comments saying the same thing. Whoops. Now it’s asking me to log in again – will try to leave this comment only once. Remember your losses of voice well. Especially the time just before the national speech final when you gave me 5 minutes notice to fill in for you.